Trump’s Hamilton tweets were not some brilliant ploy. 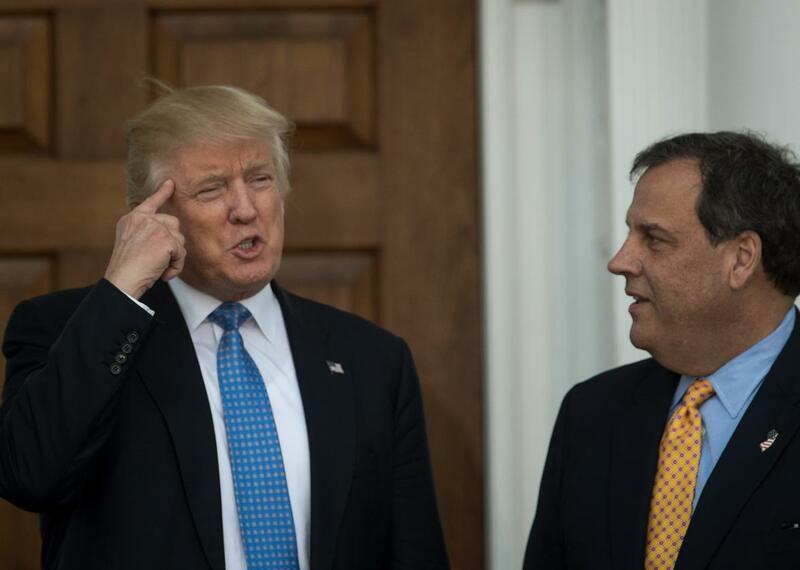 President-elect Donald Trump gestures to reporters as he stands with New Jersey Governor Chris Christie before their meeting at Trump International Golf Club on Nov. 20, 2016. If you wrote about Mike Pence getting booed by the crowd and called out from the stage at Hamilton, then you played right into Donald Trump’s tiny hands. That’s the argument my former colleague Jack Shafer made in Politico on Saturday, urging his media brethren to stop “being Trump’s Twitter fool” and ignore the president-elect’s repeated calls for the cast of the Broadway musical to apologize for its supposed rudeness. This was a common journalistic refrain over the weekend: Hamilton is a distraction. The press should pay that theatrical dust-up no mind, and instead focus on the more-consequential Trump University settlement and Trump’s corrupt business dealings. Wow the audience at Hamilton booed so loud that the news didn't hear about Trump paying $25m to settle his fake university lawsuit. The premise here is that Trump is jamming the media’s circuits, purposefully crowding out matters of real import with inconsequential micro-scandals. If that’s the case, he has a strange way of going about it. A few minutes before he tweeted about Hamilton, he composed a pair of tweets about … the Trump University settlement. No doubt he composed those missives while grinning maniacally in Trump Tower, cackling to his minions that no one would ever know he’d paid $25 million to thousands of people he’d allegedly scammed. How could they? He’d hidden all of the evidence on his Twitter account! The problem with refusing to play Donald Trump’s game is that Donald Trump isn’t always playing a game. As you read this, Trump is no doubt hatching various schemes that will make this country immeasurably worse. That doesn’t mean there’s intentionality behind everything he does, says, and types. The media failed, again and again, during Trump’s rise to prominence and power. It’s wise for all of us in the press to have a healthy fear of perpetuating that failure. What’s unhealthy is ascribing a cunning, devious design to every petty, stupid move this rice-paper-skinned con man makes. Trump’s Twitter feed is a propaganda tool. It’s also not the worst place for journalists to look for stories. The day before he got all agitated about Hamilton, Trump tweeted about his picks for attorney general, national security adviser, and CIA director. The day before that, he posted the spurious claim that he’d saved a Ford plant from moving to Mexico. He’ll need to tweet about Hamilton at least eight more times to bury that lie. The lesson of this weekend’s intramural journalistic dispute isn’t that Trump is psyching out the media with some sort of brilliant dark sorcery. It’s that he doesn’t have to do anything at this point to jam the media’s circuits. We’re plenty good at jamming our circuits ourselves.